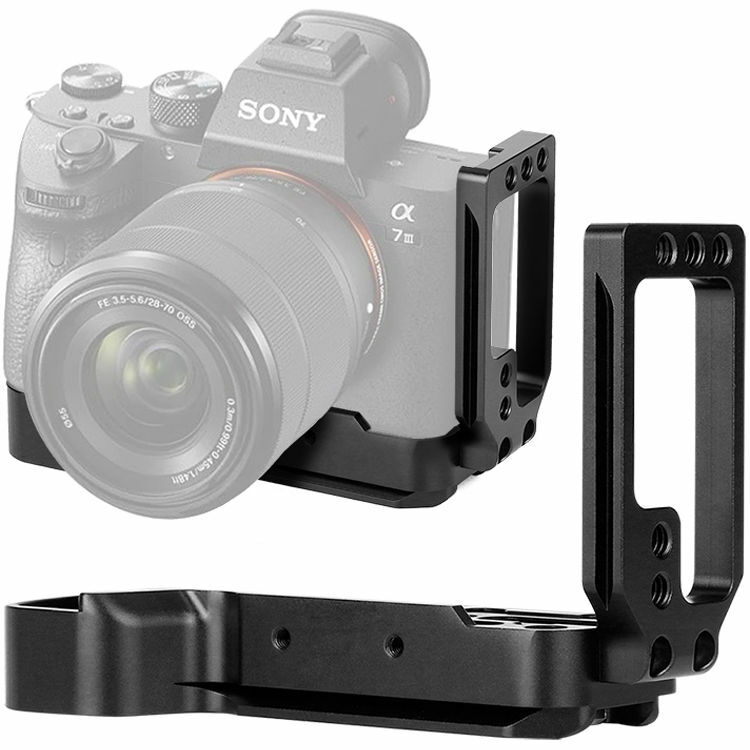 The Arca-type L-bracket for Sony a7 III, a7R III, a9 Cameras mounts vertically and horizontally into compatible heads or clamps. The vertical component is machined so cables can connect to the camera's ports, but both horizontal and vertical components can separate slightly for further access to the same ports. Five 1/4"-20 sockets are tapped on the side of the vertical component to allow you to adapt video or photographic accessories to the L-bracket, and the bottom base plate is also machined to allow access to change the battery pack or SD card.